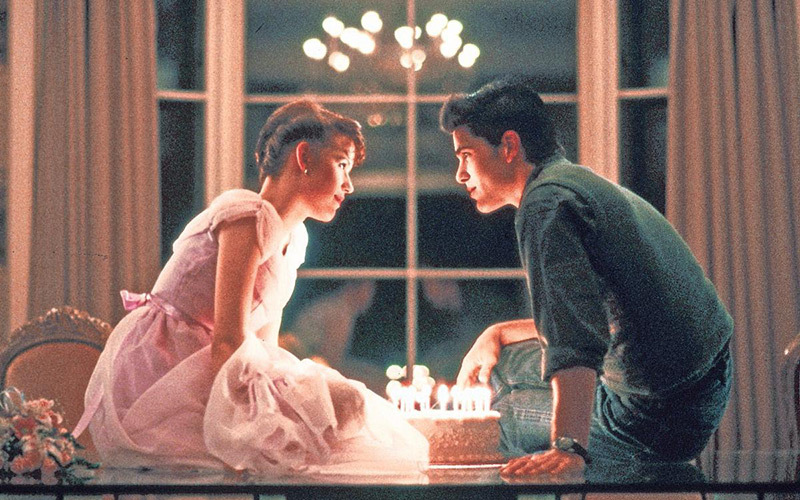 We know, we know—Sixteen Candles, while a classic, does not take place in L.A. (unlike the rest of the films in our ‘80s-themed movie series celebrating our July issue). That said, it’s too good, too iconic, and too era-defining to ignore, so here we are. 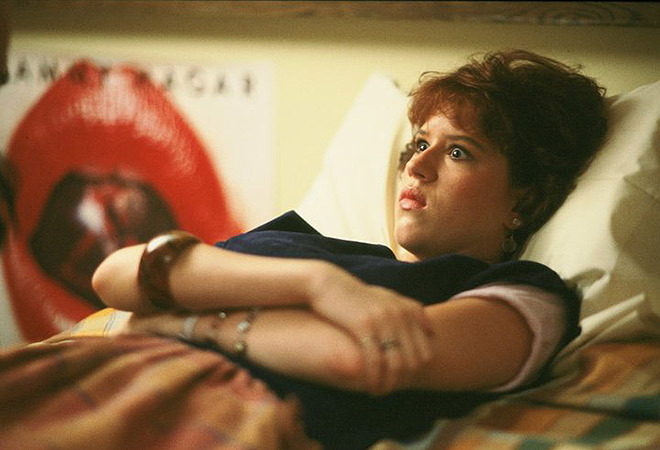 Molly Ringwald and crew will light up the ArcLight Hollywood screen this Monday, July 7 at 7:30 p.m. Psych yourself up for the screening with this list of little-known facts, and make sure to buy your tickets now. While visiting a John Hughes film class at USC, Molly Ringwald revealed that future Lord of the Rings ranger/real-life babe Viggo Mortensen nearly stole the role from Michael Schoeffling. “I was 15 years old, and I flew to New York to read with everyone,” she said. “It got to the (final) Jake Ryan shot, and we had the kissing scene. 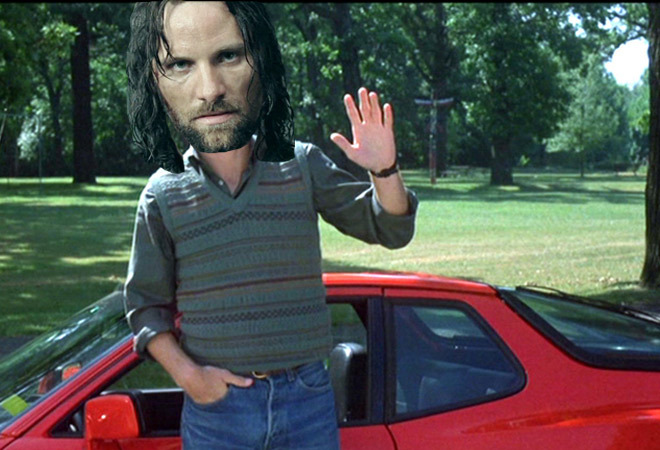 And Michael Shoeffling did not kiss me during the audition—Viggo Mortensen did. He made me weak in the knees.” Ringwald revealed she was gunning for Mortensen, but as we all know, it was a 23-year-old Schoeffling who bagged the role. Hughes requested photos of promising actresses from his agent, and Ringwald’s was in the giant stack. The director reportedly put her image up over his desk and wrote the first draft of Sixteen Candles in one weekend. That said, the audition process wasn’t—ahem—a cakewalk. 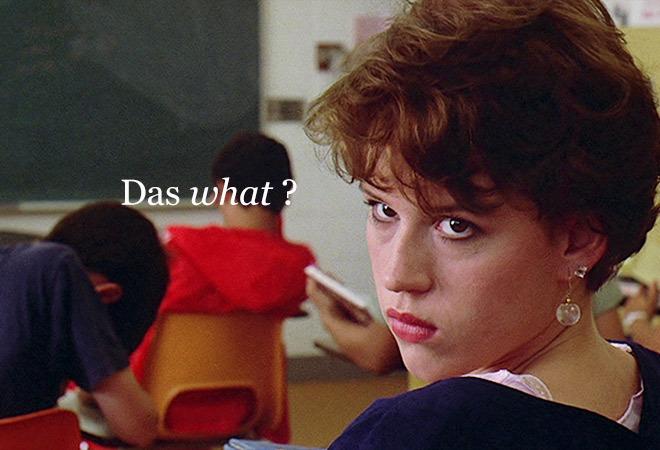 Ringwald was up against her future Breakfast Club co-star, Ally Sheedy, and Laura Dern. Hughes liked Hall so much in National Lampoon’s Vacation (1983—a film Hughes also wrote) that he penned the part of The Geek with him in mind. 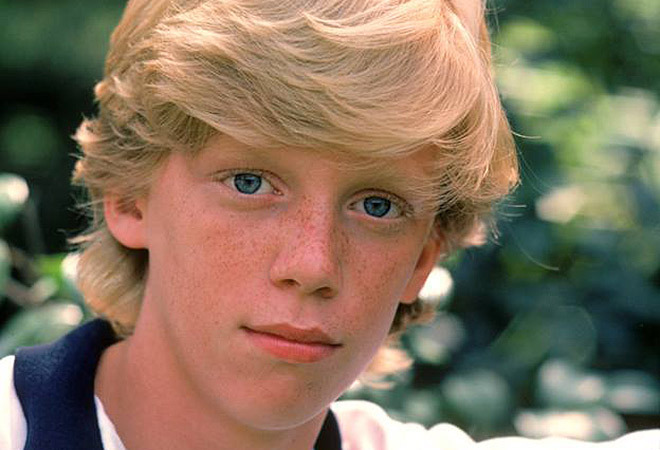 Hall went on to star in two other Hughes films, The Breakfast Club (1985) and Weird Science (1985). The 1974 Corniche, the one The Geek uses to take a drunk Caroline Mulford (Haviland Morris) home, belonged to the father of a friend of John Hughes. It’s worth over $66,000 today. 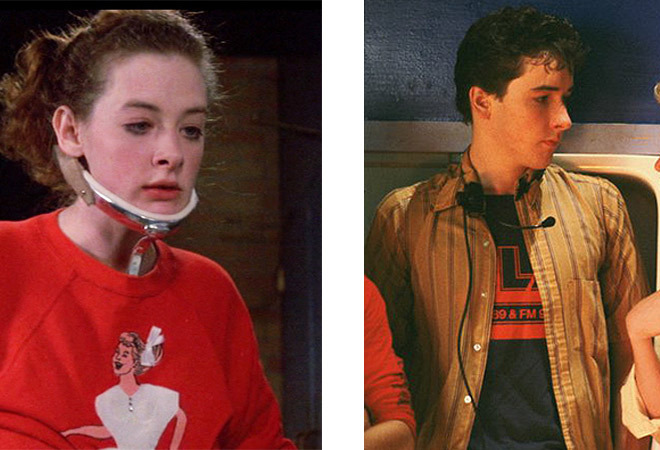 Cusack, along with his sister Joan (who plays the nerdy girl in a neck brace), grew up in Evanston, Illinois, only miles from where the movie was shot. While we’re on the topic of the Cusacks, this is the second film the two co-starred in after 1983’s Class. They’d go on to appear together in eight others: Grandview, U.S.A. (1984), Broadcast News (1987), Say Anything… (1989), Grosse Pointe Blank (1997), Cradle Will Rock (1999), High Fidelity (2000), Martian Child (2007), and War, Inc. (2008). Watanabe, who played exchange student Long Duk Dong, was 28-years-old at the time of filming. He was also born in Utah and doesn’t have an accent. The reverend marrying Samantha’s sister Ginny (played by Blanche Baker) is Brian Doyle-Murray (Caddyshack, Groundhog Day), a.k.a. Bill Murray’s older brother. In the same scene, a drunken Ginny takes a break from her walk down the aisle and sits down next to Agnes Belushi, John and Jim’s mom. Sixteen Candles takes place in Shermer, Illinois, a town that doesn’t exist (where most of Hughes’ films take place). 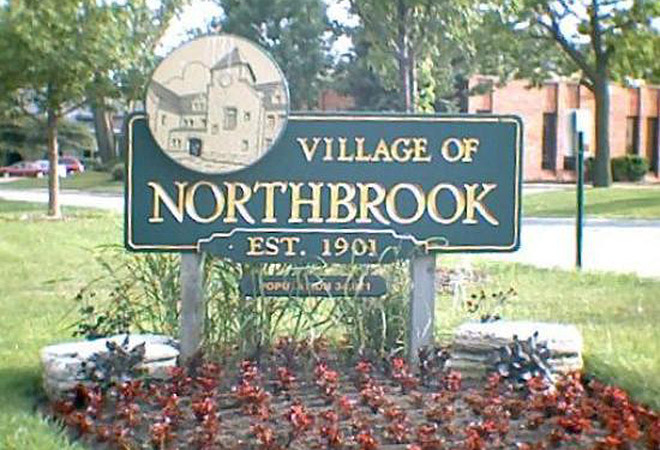 Hughes, who attended high school in Northbrook, Illinois, drew his inspiration from Northbrook’s former name: Shermerville. The plate number reads 21850, a seemingly random string of digits. Hughes superfans may have realized that it’s actually a hidden nod to his birthday: February 18, 1950. As it so happens, Ringwald’s birthday also lands on February 18. That’s right. The Geek and the Prom Queen dated for a year or so between filming Sixteen Candles and The Breakfast Club. Sure, it’s a cult classic, but the film debuted at No. 2 in its opening weekend, right behind Breakin’ (some breakdancing movie that no one remembers). Sixteen Candles brought in a mere $4 million in its first few days, and while it went on to gross $23 million, it didn’t make enough to be one of the higher grossing films of the year. Video sales and incessant airage on networks like TBS and AMC, however, were integral to its success. That’s not really the “fun” part of the fun fact, though. It’s more about the German version’s title: Das darf man nur als Erwachsener, which means One May do That Only as an Adult. Talk about lost in translation. 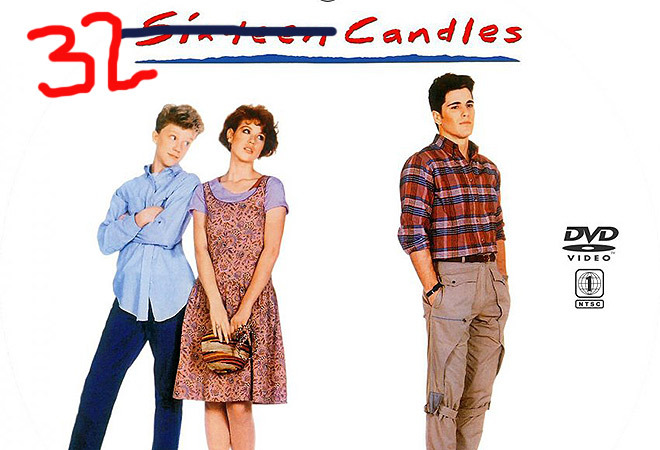 In 2005, rumors swirled that Molly Ringwald was developing a sort of Sixteen Candles 2 titled 32 Candles. Sadly, it never got off the ground. Why? Because it wasn’t a cake at all. It was a prop made from cardboard.